Urinary incontinence can be embarrassing and socially debilitating. 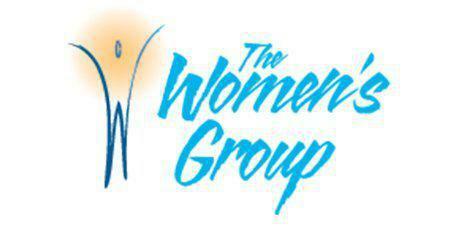 Urinary incontinence is also highly treatable by the experienced team at The Women’s Group, located in Pensacola, Florida. Urinary incontinence is the involuntary loss of bladder control that results in an accidental leakage of urine. Depending on the severity, this may be an occasional few drops caused by coughing or jumping, or a chronic sudden urge to urinate followed by a major loss of urine. Some women experience both of these. The likelihood of developing urinary incontinence increases with age, and is twice as prevalent among women than men. Approximately 23% of women over age 60 in the United States deal with urinary incontinence, according to the National Association of Incontinence. Women are at greater risk for urinary incontinence than men due to the stress incurred by the pelvic floor during pregnancy and childbirth, as well as, the decrease of estrogen that accompanies menopause. Acute incontinence, a temporary condition resulting from specific health issues such as a urinary tract infection. Stress incontinence, which is an accidental loss of urine triggered by a sneeze or other movement that places pressure on the bladder. Urge incontinence, which is leakage caused by an overactive bladder, caused by either: bladder irritation or neurological conditions, like Parkinson’s disease. At The Women’s Group we conduct urodynamic studies in-house to diagnosis the underlying cause of incontinence and then determine the best course of treatment. Urodynamic testing utilizes imaging equipment to takes pictures of the bladder filling and emptying, as monitors measure and record the pressures inside the bladder. Testing also involves sensors that record muscle and nerve activity. What treatments are used to remedy urinary incontinence? Behavioral training and pelvic floor therapy. Impressaâ. A removable silicone device designed to support pelvic organs, and thereby prevent leakage from stress incontinence. Pressary. A removable device used to support pelvic organs and prevent stress incontinence leakage. BOTOX®. These injections help some women with neurogenic bladder and urge incontinence. Bulking injections. These are injectable gels used to thicken the area around the urethra to control leakage. Surgery. Surgery, as with most conditions, is a last resort solution.